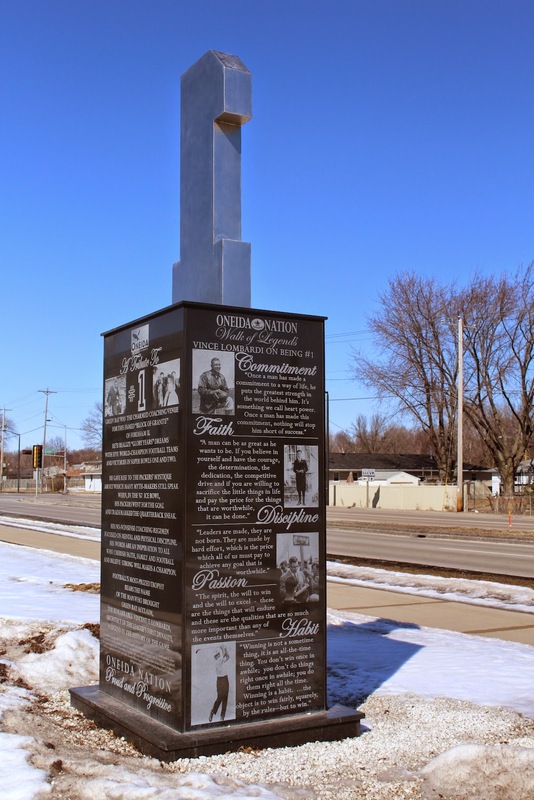 The monument is located at the Brown County Veterans Memorial Arena on eastbound Lombardi Avenue / County Highway VK, just east of its intersection with Oneida Street / County Highway AAA, Green Bay, Wisconsin 54304. 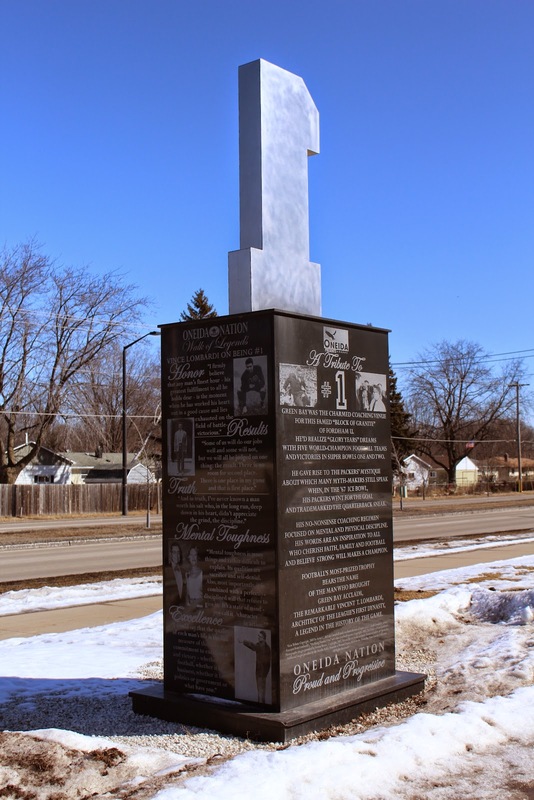 Stone Business Online (January 8, 2009): Oneida Nation Walk of Legends, Green Bay, Wis. The inspiring story of how mother-and-daughter-team, Sandi and Corrie Campbell, envisioned, developed and brought to fruition the Oneida Nation Walk of Legends™. 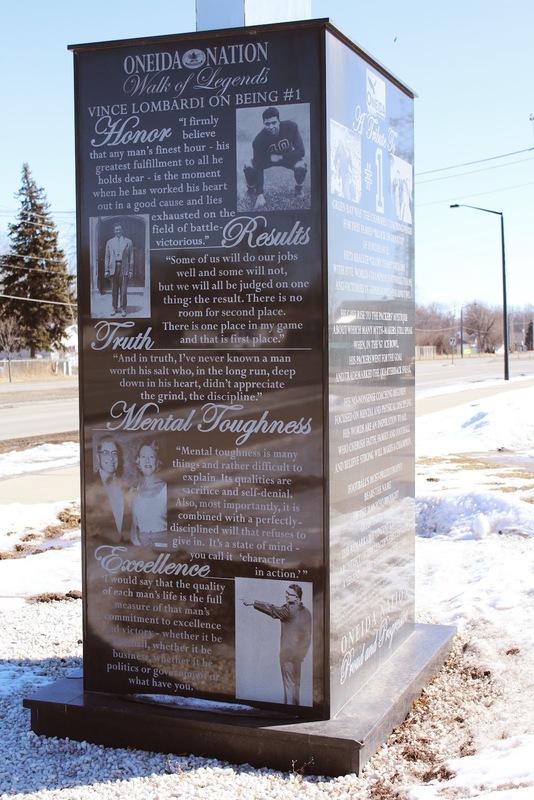 The monument is one of a series of 24 engraved granite-and-steel monuments that comprise the Oneida Nation Walk of Legends™. 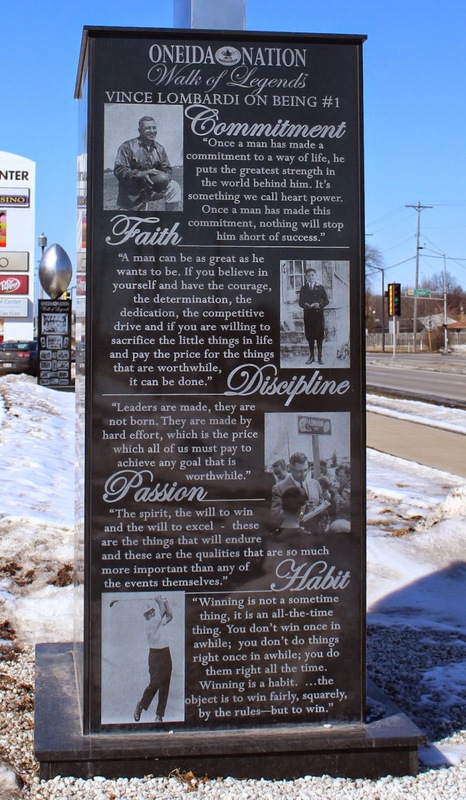 The monuments pay tribute to the legends of Green Bay football, and chronicle the history of the Packers organization from 1895 to the present. The monument is close to the giant football. 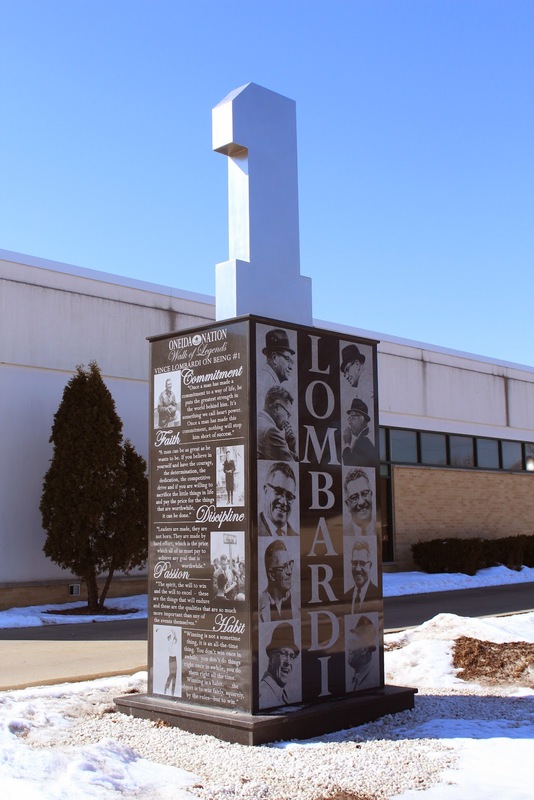 The Lombardi Avenue entrance to Veteran's Memorial Complex.